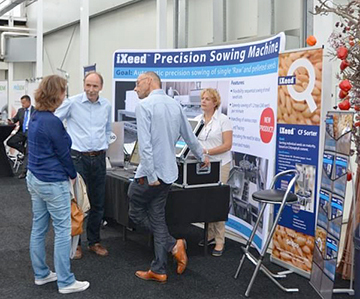 With great interest among visitors we introduced the iXeed Precision Sowing Machine at the 3rd edition of 'Seed Meets Technology'. The iXeed CF Compact Sorter was present at our stand, together with the iXeed CF Analyser Mobile. Both machines were being used for demo's all day long on various crops of customers. During this last week in September, the event was very well visited by delegates from all over the world.